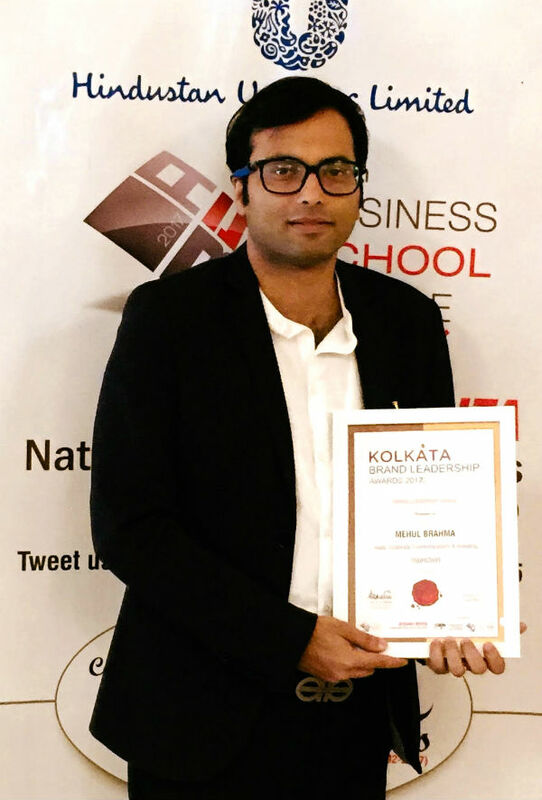 Kolkata: Journalist-turned-author and communicator Mahul Brahma won the Brand Leadership Award 2017. The award, given by CMO Asia, focused on recognising Brand Custodians and Brand Writers. Mahul’s work was recognised as a commentator and author on luxury brands and brand custodian of mjunction, India’s largest B2B e-commerce company. Mahul’s book Decoding Luxe, which has received praises from West Bengal Chief Minister Ms Mamata Banerjee and Mr Ratan Tata, found a special mention at the event at Taj Bengal on November 8, 2017. Mahul Brahma is a luxury commentator, columnist and award-winning brand communicator, heading corporate communications and branding for mjunction, a Tata group company. He has been a senior journalist for a decade with Economic Times, CNBC TV18, Reuters and India partner of NYT. His debut short film as an actor was selected and screened at 69th Cannes Film Festival. His feature film is due for release soon. ​Mahul has won Ecommerce Communication Leader of the Year Award in 2017, Certificate of Excellence in Corporate Communications in 2017 and Young Achiever Award in National Awards for Excellence in Corporate Communications in 2016.